In this episode we interview Tony DiLorenzo, an entrepreneur, coach, author and podcaster. In this episode we discuss Tony’s entrepreneurial journey, productivity & time management techniques, being in business with his spouse, and other tips & advice for business and personal success. Tony is an entrepreneur who owns multiple businesses, and he and his wife Alisa are the hosts of the One Extraordinary Marriage Show. The ONE Extraordinary Marriage podcast provides an opportunity for you to get first hand insights on what happens day-to-day in a real marriage. 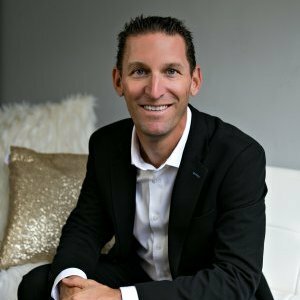 His other businesses include The Dent Dude – a paint-less dent repair and windshield repair business he started over 14 years ago – and Fit Marriage and the Thrive90 Fitness Program – focused on helping busy couples achieve their fitness goals together. Tony lives in the San Diego area with his wife Alisa and their two children. Tony started a short stint in direct sales after he finished college, and then returned to it after a time spent working with his father. He worked for a time for his father, doing manual labor, as a plumber’s assistant and contractor. He shares his story of staring his first business: The Dent Dude – the fastest and most cost effective way to remove small, medium and large dents from motor vehicles. Tony also shares his advice for productivity and time management. He also shares the makeup of his support team. How to be intentional about managing your time. He shares valuable insights into working with your spouse. How do you delineate business from the personal relationship?